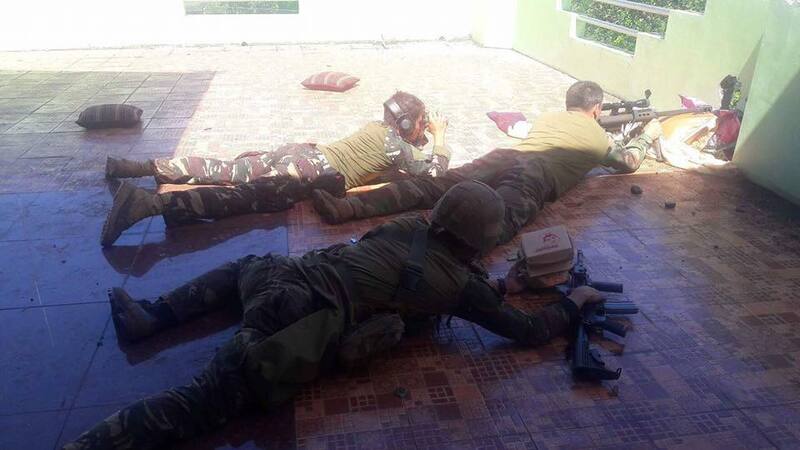 MANILA, Philippines – The gunfight in Marawi City between the government troops and ISIS-inspired Maute terrorist group is now in its fourth week where hundreds of lives have already been sacrificed. Despite the continuous conflict, the gallant Scout Rangers didn’t forget to celebrate Father’s Day on Sunday, June 18. Lack of sleep, starvation and homesickness are just some of the problems that the armed forces are currently facing in the war-torn city. Yesterday, the world celebrated Father’s Day where everyone spent time in fancy restaurants for lunch or dinner treat together with their brethren. Without their families on their side, the Scout Rangers extra ordinarily commemorated the paternal event with their comrades. A still-unknown donor gave the Scout Rangers a sumptuous meal to lighten up their mood and remind them and the citizens that every soldier is still a father. 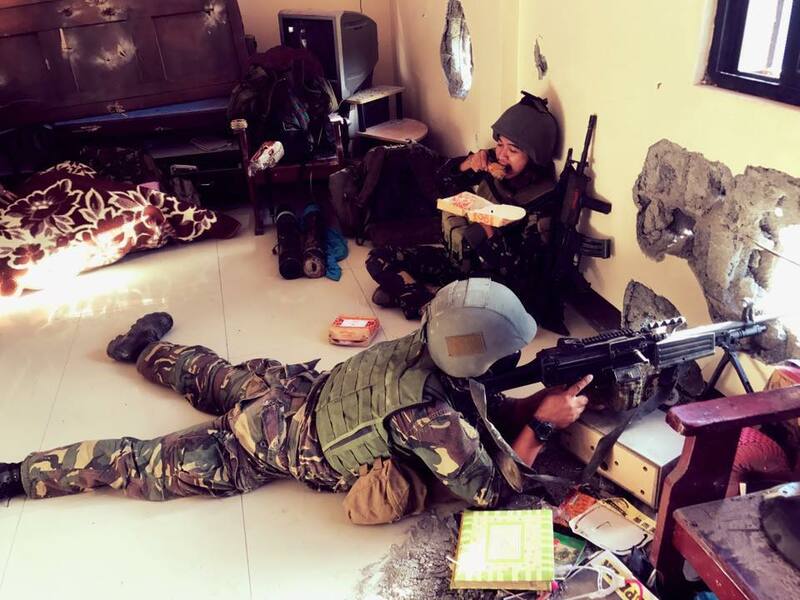 Fried chicken meals from Jollibee or chicken joy were delivered to the battle zones where the valiant rangers had their treat without compromising their obligations and leaving their respective positions. Truly, a picture is paints a thousand words. 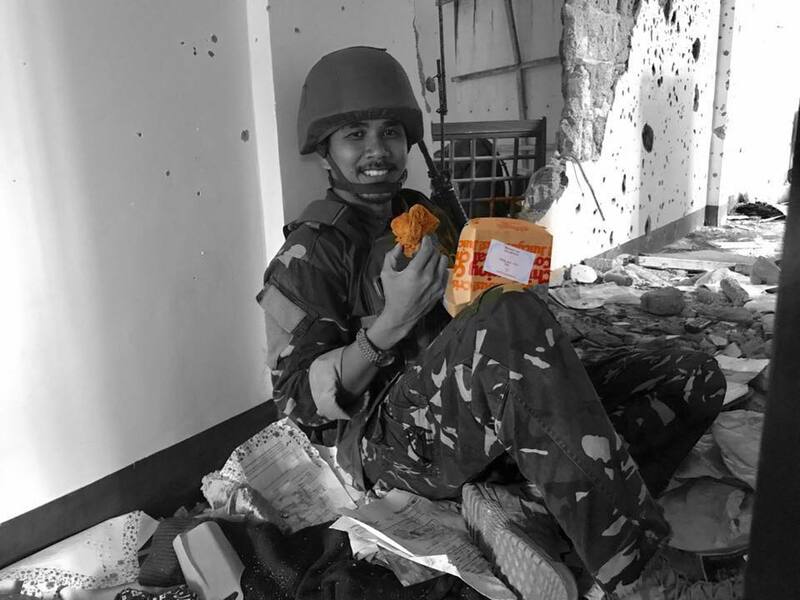 As portrayed in the photos, our soldiers were having a good time with their fellow-troops while having a bite on the delicious chicken. Jollibee previously launched very inspiring videos and true to life stories about love that moved millions of viewers around the globe in tears. Surely, a video ad that portrays the life of a solider-father will be a hit and will serve an eye-opener to many people especially to our fellow-Filipinos on how our armed forces sacrifice their own lives in the name of freedom. It’s never too late to greet all the fathers especially to our Armed Forces and Police Officers who endlessly fight for our country’s liberty. From The Summit Express, a Snappy Salute to you Sirs!